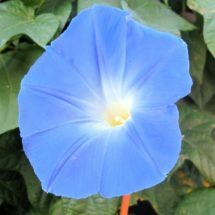 A true old-fashioned beauty, heirloom morning glory’s large, trumpet-shaped flowers come in a variety of wonderful soft colors. Birds and bees love their fragrant blossoms! Give these annuals support and they’ll grow several feet tall. Wonderful when grown in containers set against a trellis. Dwarf varieties, with their multi-colored blossoms, are especially unique! Very unique and hard to find. 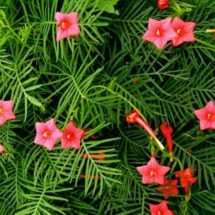 Vines have feathery foliage and stunning pink flowers. 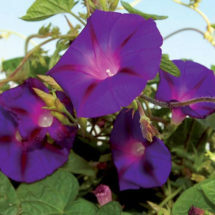 Produces lovely blue flowers on 12-foot vines — blooms the entire season. An original Bavarian type. 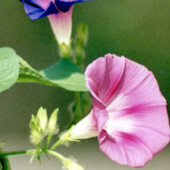 The flower is deep-purple and has a bright red star in its throat. A true old-fashioned beauty! 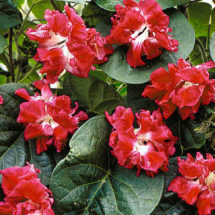 Sunrise Serenade is the most dramatic variety available.